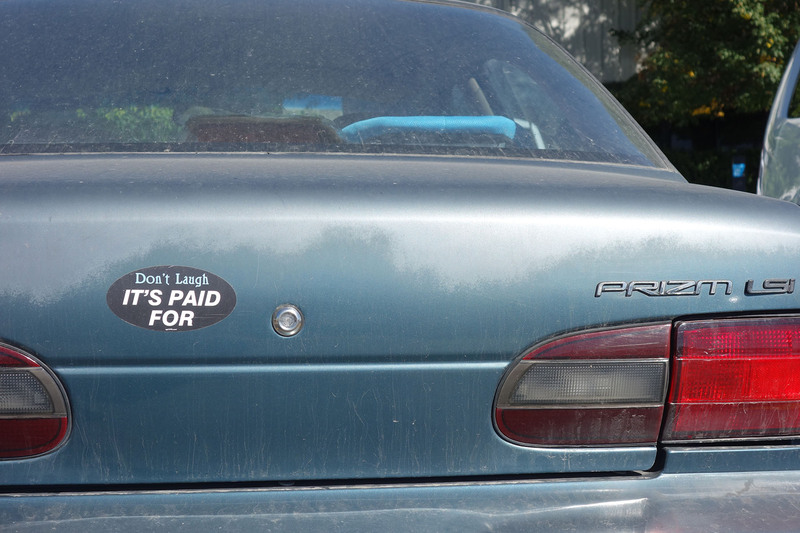 I spotted this fun sticker proclaiming automotive financial wisdom on a car in my workplace parking lot the other day! As an aside—I’ve found debt-free living to be a highly satisfying lifestyle and I’m happy to own my own I-paid-for-it-with-cash vehicle. I recommend Dave Ramsey’s 7 Baby Steps as a great guide for budgeting, paying off debt, saving money, and building wealth.